Baset hand painted papyrus papers made and painted in Egypt. 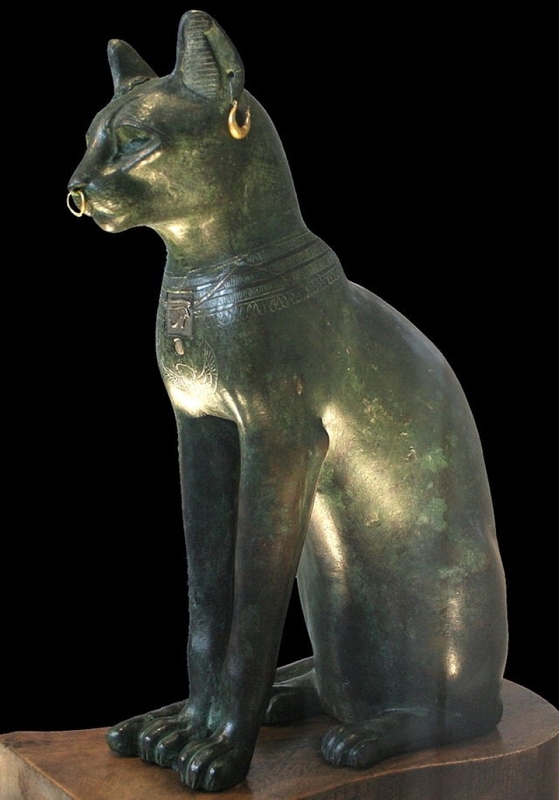 Baset Or Bastet has been described as was the cat goddess beautiful and charming. The ancient Egyptianstookthe catas symbolof the goddess"Bastet", andalso have form ofladywith acat. TheGreekscompare it totheir gods"Artemis". 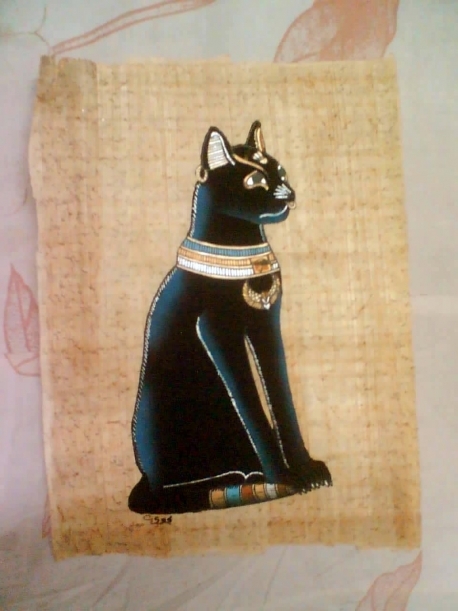 You can have this hand painted on papyrus papers made and painted in Egypt.